MLB commissioner Rob Manfred. Photo courtesy of Wikimedia Commons. The childhood experience that would cement my fanhood for a team was largely a non non-consequential baseball game played in mid-April 2010 between two non-playoff bound teams. It lasted nearly seven hours and featured just three total runs, two position players on the mound and one starting pitcher in left field. And in the end, my hometown team, the St. Louis Cardinals, lost 2-1 to the New York Mets. As of 2017, the 20-inning contest was the eighth-longest game in MLB history at 6 hours and 53 minutes. For the 12-year-old attending a baseball game all the way until the end for the first time, these were seven of the best hours ever spent at a sporting event. But as both the numbers and current MLB Commissioner Rob Manfred’s recent actions indicate, my joy in extra strange, extra-inning games is more the exception than the norm. In 2017, the average time of a nine-inning MLB rose to a record high of over three hours and five minutes. That year, a study published by the Sports Business Journal found that the average age of MLB viewers was up to 57 from 52 a decade prior, easily the highest of any of the top American professional sports. Baseball may be a sport, but MLB is an entertainment product. 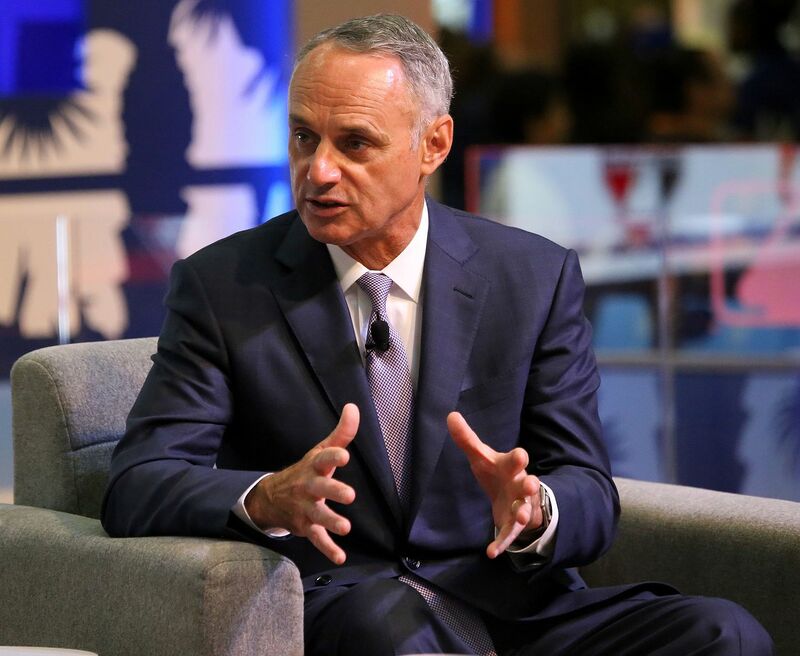 Manfred knows that the best way to broaden the league’s popularity is by attracting younger fans, and finding ways to speed up the game is one key way to do that. Because without the younger fans, the sport will certainly struggle in the years to come. With rules changes announced just prior to this season as well as last year, MLB is taking a step in the right direction in improving the fan experience, but the league needs to be careful not to disrupt the basic fabric of the game as it looks to speed it up. On March 14, just six days before the first game of the regular season, the league and players association announced a series of rules changes that go into effect both this season and next. Despite such a quick turnaround between the announcement and some of these new rules going into effect, there was relatively little negative reaction to the news. This fact is largely because most of the changes don’t impact the fundamentals of the game, but will likely help speed it up and improve the fan experience. Among the changes for this season is shorter breaks between innings, with the break period between half innings being reduced by as much as 30 seconds. Additionally, the maximum number of mound visits in a game was reduced from six to five per game. Really not much to complain about there. Starting next year, changes in roster size will decrease the number of players allowed on a roster in September from 40 to 28, limiting the number of possible substitutions and likely helping to keep the games from becoming longer near the end of the regular season. While those changes don’t figure to negatively impact players, managers and strategies, some of the league’s other upcoming and proposed rules changes will do just that, fundamentally altering the game itself. Starting next season, a three-batter minimum will be put into place for all pitchers, requiring starters and relievers to pitch to at least three batters or to the end of the half-inning, with exceptions only for injuries and illness. For the sake of taking away one pitching change every few games, the league has decided to limit strategy and fundamentally alter the way the game can be played. Another stakeholder had even stronger words. Imagine this scenario: Game 7 of the World Series. Bottom of the ninth inning. Your team is up by two, and the manager brings in the closer, who’s been struggling with his command. He proceeds to walk the first batter on four pitches no where near the strike zone before hitting the next batter on the first pitch. The potential World Series-winning run is stepping to the plate. Another pitcher is warming in the bullpen. The manager knows he needs to take the closer out. But he can’t. The closer proceeds to give up a three-run home run, and your team loses the World Series. This may be an extreme example, but this is a realistic scenario, and one that could easily happen in non-playoff games when the three-batter rule goes into effect next season. This isn’t the only strategy-limiting, game-altering change the league wants to make. Manfred is in favor of eliminating infield shifts, requiring two infielders to be on both sides of second base. The Atlantic League, a professional, independent baseball league, is testing the restriction this season through a partnership with MLB. Major league managers have made it clear how they feel about limiting game strategy. And perhaps the most imposing of the proposed new rules is something happening in the minor leagues already: starting extra innings with a runner already at second base. There’s nothing inherently wrong with MLB wanting to speed the game up a bit. On the contrary, it’s actually a positive sign that the league recognizes what needs to be done if it wants to increase appeal among younger people. There’s a line that MLB needs to be careful to be not to course as it looks to speed up the game. And that line, as Taillon expressed, is fundamentally changing the sport itself. If the league crosses that line too much in its quest to broaden its popularity, particularly among young people, it’ll end up alienating players, managers, and traditionalist fans alike. Baseball is a weird game. Change it too much, and you’re taking away from the uniqueness that makes a 20-inning, pitchers-in-the-field, position-players-on-the-mound type of game possible. 12-year-old me would be disappointed if baseball turned into anything less.